DKNI has created the corporate identity for independent stockbroker The Kyte Group, for a fee of £50 000. The identity will be launched at the beginning of April and will be applied to stationery, literature, mailshots and a website. DKNI was briefed to reflect the core business principles of The Kyte Group in the identity, which are claimed to be integrity, honesty, creativity fortitude and client focus. 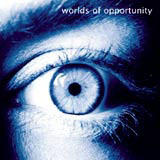 The consultancy responded by creating the strapline: “worlds of opportunity” and using eye imagery as a focal point. 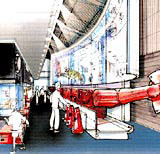 The eye, according to DKNI, has a unique identity and so reflects the individuality of Kyte and its clients. The consultancy won the contract as part of an unpaid creative pitch against undisclosed consultancies last August.